It's Third Week Throwbacks again! The third week of every month I do week of nail polish throwbacks. These are all polishes that are 2+ years or older. Today, I have an awesome LA Splash rediscovered throwback I'm head over heels about. 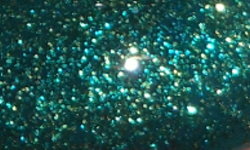 Ocean Fairy is a teal jelly base with teal and yellow-green micro glitters. Color: This is the type of color that reminds me why I love nail polish so much. This is a stunning mix of a pigmented jelly base with intense sparkly glitter. I love this rich teal base and the glitter compliments this perfectly. Ocean Fairy is bling city in a very glitzy and elegant way. Formula: Great formula. I did need to add some thinner to it as it has thickened over the years, but it thinned out nicely. I used 2 coats above. Price: Sadly, I don't think you can find this one anymore. If you have it though, break it out again. Overall: This was an amazing rediscovery. I love nail polishes like this so much. 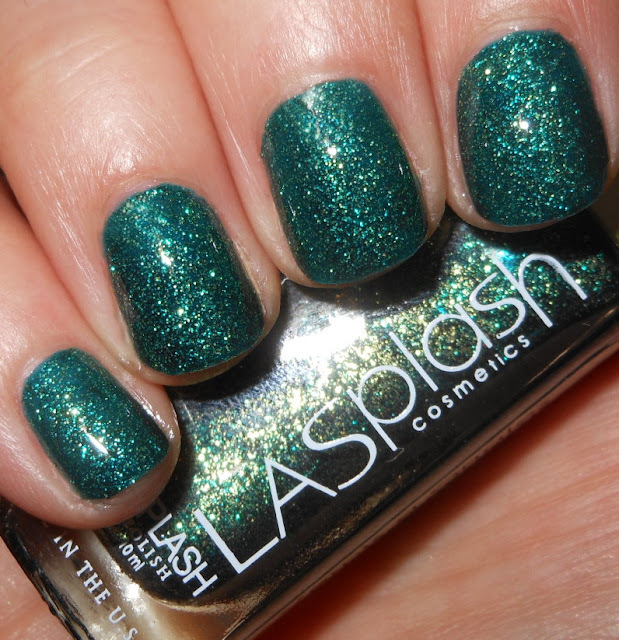 The color of this is so saturated and the formula was excellent. I am beyond the moon I found this one again. Such a great color this is! I love this color, so stunning! Gorgeous! Too bad it's not available anymore!